Whether it's miles run, mountains hiked, or just a long day standing your feet deserve some TLC at the end of the day. 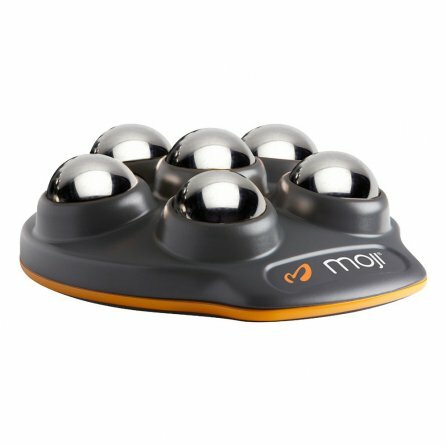 So treat yourself to the Moji Foot Pro Massager, it's got five stainless steel spheres that rotate freely in the non-slip base so you can work out tension and soreness even while sitting. For a really powerful message, put the Moji Foot Pro in the freezer for a few hours and give yourself a refreshing ice massage.